Life Change Coaching with MTP is an extremely responsible and rewarding occupation, whether done as a volunteer, part time or as a full time career. All MTP coaches are supporting their community. MTP coaches are usually people with natural leadership qualities,and the ability to learn and understand the process of change, understanding breaking everything down into steps for change, and being able to clearly communicate them to others. It does take drive and energy. You are giving your energy out to others to motivate and support. Our Team sessions are focused on "Fun". MTP is not a boot camp and all Team competition is friendly and non serious and non competitive. 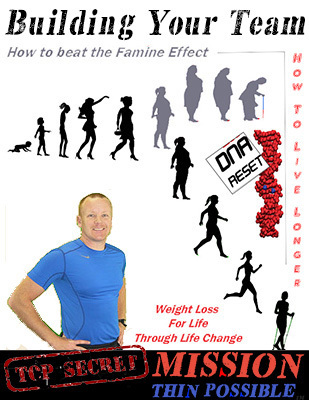 Coaching life change for life extension and permanent weight loss on the other hand is serious and is a long term commitment to your Team, not for the feint hearted. Doing simple things persistently well over a long time is what leads to consistent results. Luckily our clients initial progress usually is immediately obvious, and the targets and goals we set are realistic. This keeps clients motivated and makes the coaching job easier. Our MTP coach training and mentor ship, plus on line educational lectures and individual weekly progress reports for team members makes coaching a breeze. Finding a location and organizing session times for your Team/s. Coaching the weekly lesson plans each week. Conducting the weekly confidential weigh in of the team and submitting via smart phone. Providing the set up for equipment and supervising the game for Team Game. Or, conducting the Team Walk session if a Team Walk group. MTP games sessions embody friendly games chosen to foster teamwork and encourage continuous light to moderate exercise with bursts of higher level intensity. They are mostly adaptations of mainstream sports modified to increase the fun factor and be suitable for all participants even higher weight participants. Some extra higher intensity segments are added to some games to get the benefits of functional, strength, flexibility, and Micro-burst Exercise. MTP Team Walks are fun group run/walks. Conversing while walking or running is encouraged and helps keep you in the optimum fat burning Zone. A number of group short duration higher intensity micro-burst static sprints are conducted throughout the walk.. Coaches who are successful in building up and maintaining their teams and also receive positive feedback from their team members, can apply to become an MTP Ambassador. Ambassadors can refer other teams and coaches. Referals carry referal rewards. Can I make Coaching MTP a Career ? There is no limit to how many Teams and/or Classes that a coach can support. Coaches can coach MTP as a part time source of additional income, develop Mission Thin Possible into their own personal business, or, do it purely as a volunteer earning income for a community group or charity. . O3Business share membership fees taken in with the coach or the community group. Coaches who are successful MTP coaches can apply to become MTP Ambassadors and make additional income by referring others who may be suitable and interested in becoming MTP coaches thereby spreading the Mission Thin Possible lifestyle.